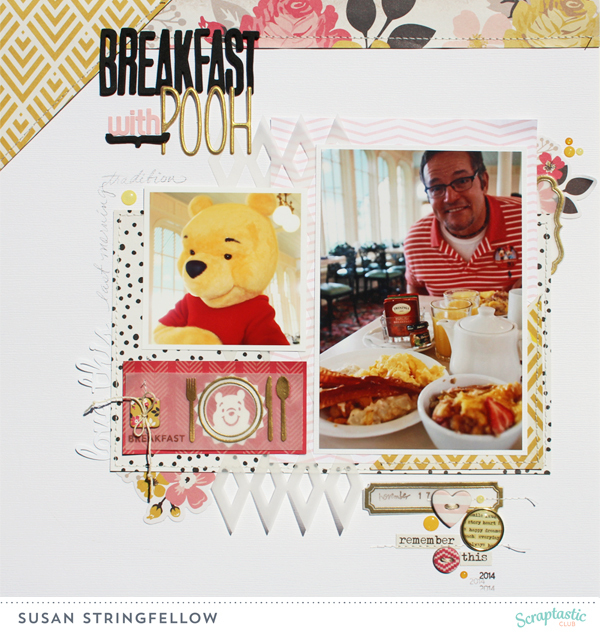 For my layout I scrapped a layout from last November when we had breakfast with Pooh one morning. 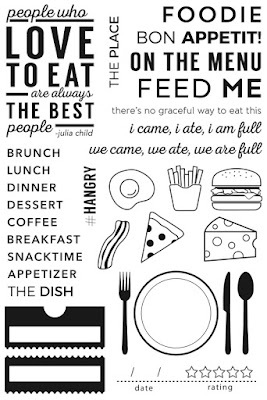 I used the beautiful November Ain't No Sunshine kit, Add on Kit, Digital Cut file, and stamps from the Feels Like Home Stamp Set and Foodie Stamp Set which I will share an image of below. 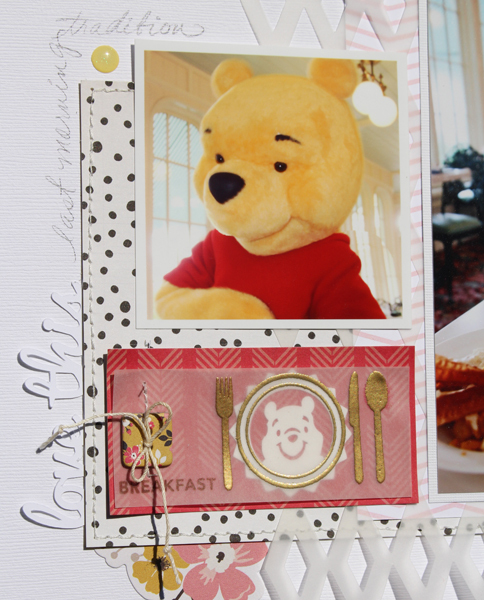 I just love this little place setting stamp and it is exactly the right size for me to punch a white cardstock Pooh to put behind the plate, so I stamped on vellum and heat embossed with gold. I might need to apologize now for how many times I will use that stamp! I also gold embossed a couple of the label image stamps. I cut the digital cut file from vellum and it works beautifully but you really have to be patient when removing it from the mat or it will tear. 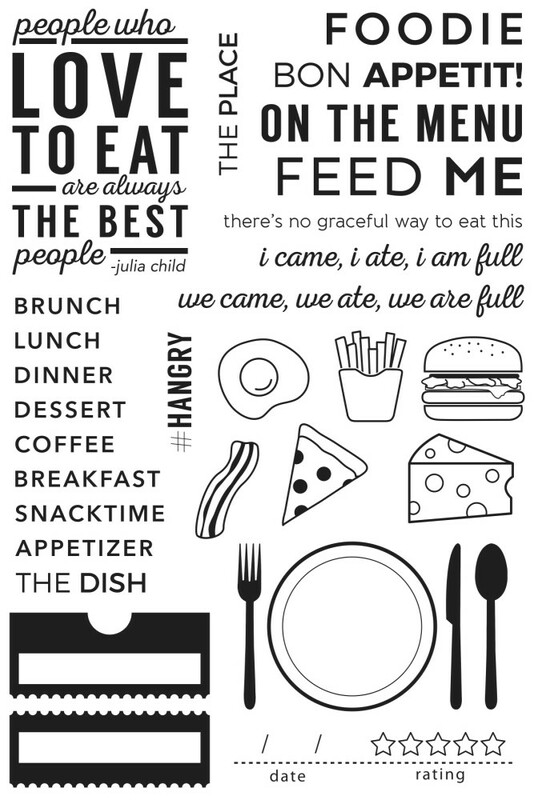 Here is the Foodie Stamp set. Isn't it perfect! Your Disney pages are always so wonderful! Thank you for sharing them with us.